Photo of 2nd growth Bald Cypress trees and Queen Anne’s Lace in Delaware’s Trapp Pond State Park, southwest Sussex County. The 90-acre pond is one of the last surviving fragments of the Great Cypress Swamp that stretched across southern Delaware and Maryland. Lumbering — especially for the production of shingles — led to the deforestation of the old growth trees. The swamp was drained in the early 20th century to make it easier to get the wood. The dry soil was mostly peat, which caught fire in 1930 and burned for eight months. 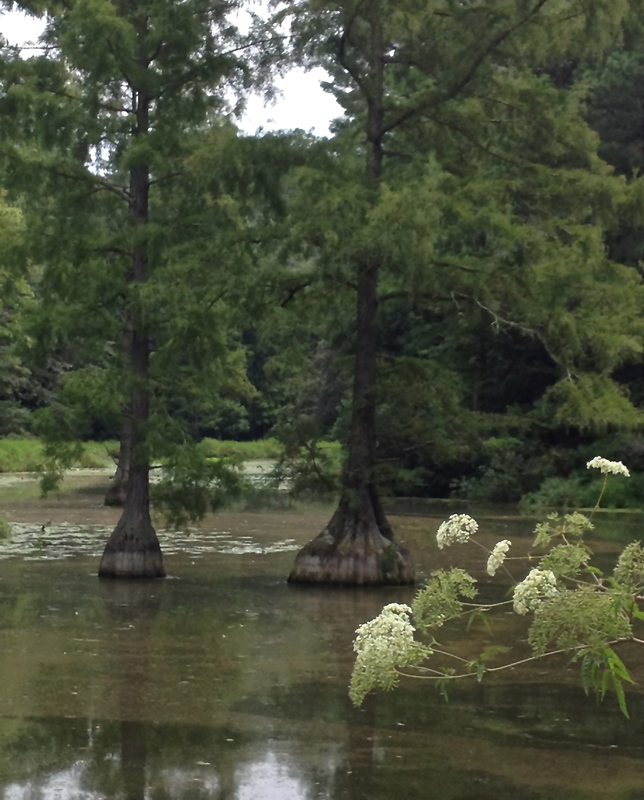 These trees represent the northernmost extensive natural stand of Bald Cypress on the East Coast.